NEW STOCK JUST ARRIVED AND IN EXCELLENT CONDITION THROUGHOUT. FINISHED IN 'EXTREME' BLUE METALLIC PAINTWORK WITH CLOTH INTERIOR. 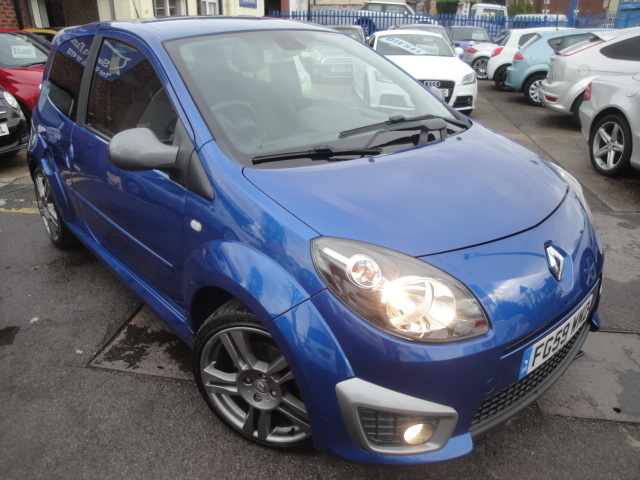 THE CAR ALSO HAS UPGRADE 17" RENAULT SPORT ALLOY WHEELS AND REAR SPOILER FINISHED IN GREY AND HAS FACTORY FITTED BLUETOOTH CONNECTIVITY THROUGH THE STEREO. COMES WITH ORIGINAL SERVICE BOOK, HAND BOOKS AND 2 KEYS. SERVICED AT 3049, 12157, 24293, 26084 AND 33709 MILES.